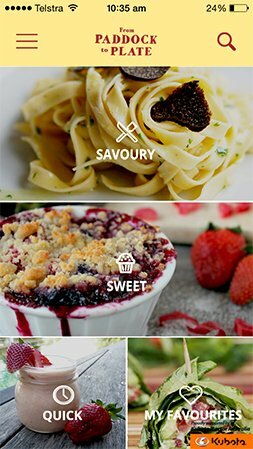 The Paddock to Plate app is essential for everyone that loves delicious, nutritious and easy-to-make recipes and wants fresh and flavoursome ingredients to cook with. This app instantly connects you with local farmers to source entire ingredient lists needed to make a large variety of dishes. Thank you! 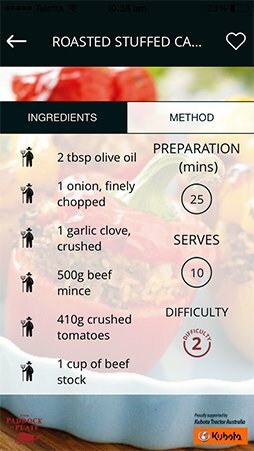 Please refresh and check the Paddock to Plate app shortly to find your recipe that you have now generously shared with thousands of people across Australia. By submitting this recipe I authorise Louise FitzRoy of From Paddock to Plate to publish my recipe on the Paddock to Plate app and the From Paddock to Plate website. Whether you’re preparing a seafood lunch, hosting a classic cocktail party or whipping up a wholesome brunch for friends and family, you will find seasonal recipes for all occasions. To select by produce, click on the menu in the top left corner. Once you have selected a recipe, the ingredient list and method will appear. Tap the farmer icons beside each ingredient to find locally produced options. All the farmers who produce this food in your locality will pop up on the map, identifying their proximity of sale to your current location and fastest route to make a purchase. enable you to find all their locations of sale including farm gates, farmers’ markets, grocery stores and supermarkets. The app is directing more people to more direct lines of sale. In turn reducing food miles, boosting local businesses and providing you, the consumer, with fresh ingredients that you have full traceability of with the ability to contact the producer to learn more. The environmental, sustainable, economic and health benefits are significant. 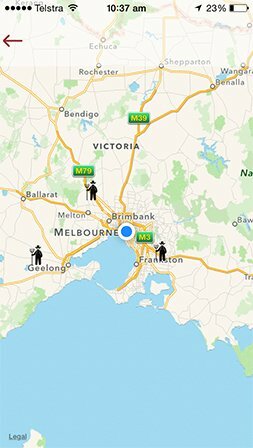 Choose a recipe, tap the farmers icon beside an ingredient and all the local farmers who produce this food in your area will appear on a map, identifying their proximity to your current location. 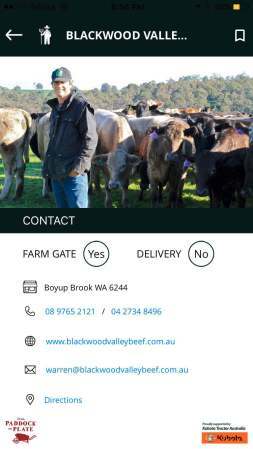 Click on each farmer to learn more about how they produce their food, contact them with questions and find all their locations of sale including farm gates, farmers’ markets, online, grocery stores and supermarkets.